Begin your grand journey through France with an overnight in Marseille. 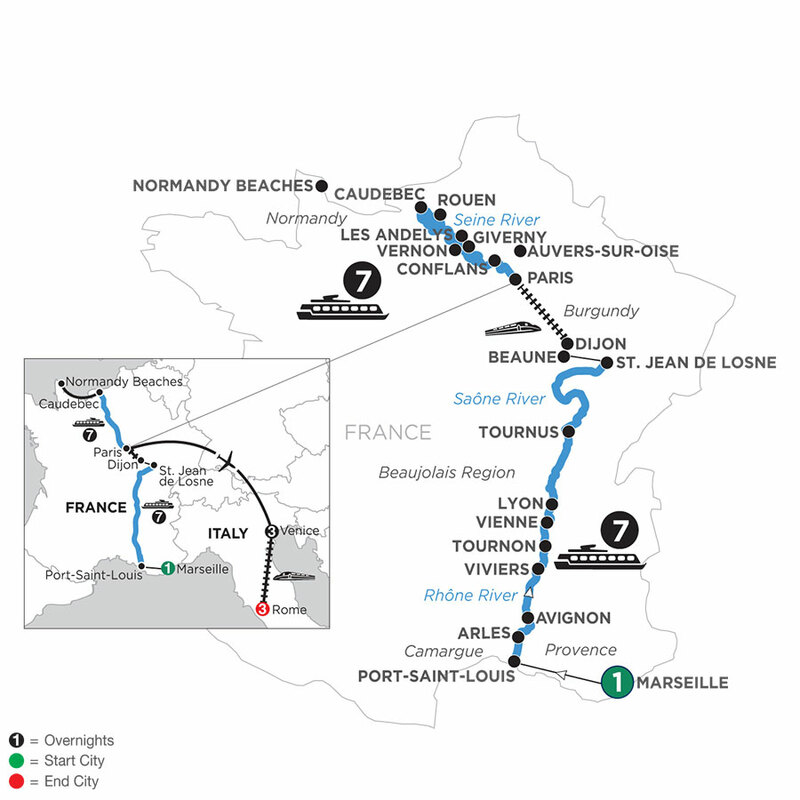 You’ll transfer to Port-Saint-Louis to board your Avalon Suite Ship® for your scenic river cruise through France. 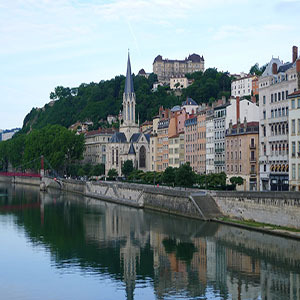 You’ll sail to beautiful Arles, Lyon and Avignon where you will enjoy guided city sightseeing tours. You’ll continue to Dijon for a high-speed train ride to Paris-"The City of Lights," from where your river cruise on the Seine begins. See the home of master artist Claude Monet, and stroll his magnificent gardens and charming residence at Giverny. Sail on the Seine to Caudebec, and take an excursion to Normandy. Here, you may select from two guided tours of Normandy’s beaches and WWII monuments, or enjoy a day to discover the beautiful agricultural region of Norman-dy. You’ll continue to Rouen, for a guided walking tour. Next, you’ll sail to Conflans, for an excursion to Au-vers-Sur-Oise- the village where Vincent Van Gogh painted, lived, and died-or to Chteau de Malmaison, the legendary home of Napoléon Bonaparte. After returning to Paris, fly to Venice to enjoy your Monograms package of 3 nights each in Venice & Rome, including guided sightseeing and helpful onsite support from expert Local Hosts® in both cities. Your French river cruise, Nor-mandy Beaches tour, and tour of Venice and Rome, will be hard to match for the beauty, culture, and new sights to recall for years to follow.